It finally happened to me. The cell booster I depend on bit the dust. Keep in mind that this was really just a minor inconvenience, since the blog offices get new equipment to test all the time and I had several other cell boosters in the closet. But it came as a surprise. The unit was about four years old, a manufacturing prototype so I knew it wasn’t going to be as reliable as a production unit. One day I was on the phone with the home office and they started complaining that they couldn’t hear me. Surprise surprise, the power light was off on the booster and changing the power adapter didn’t help. It made me wonder what kind of life you should expect for a booster. In general, I’m leery of keeping consumer electronics more than about five years. Most stuff today isn’t designed to last much longer than that, with the expectation that there’s going to be new equipment that you’ll want by the time the old equipment expires. Cell boosters should last 5-7 years which means most people aren’t due for an upgrade unless there’s a new feature. 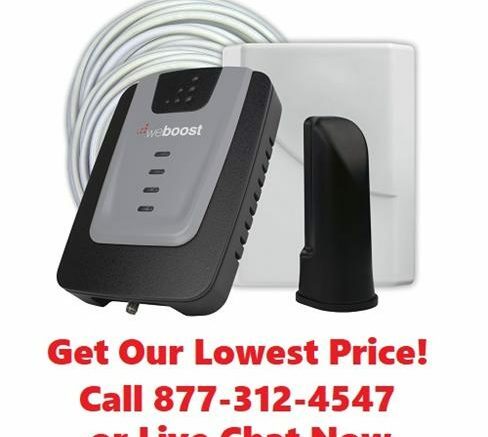 Today’s boosters are more powerful and have the ability to boost LTE. Older boosters don’t. That’s the primary difference. If that’s important to you, shop for a new booster now. Otherwise, keep reading. If you are considering replacing the booster, you may not have to replace the antenna. If you’re going from a 3G unit to a 4G one, an antenna replacement is needed, and if you’re still using 50-ohm cable with big chunky N connectors, you’ll need to rewire since most boosters today use the same 75-ohm cable with F connectors that your cable or satellite TV does. Rewiring is easy since you can use the old cable to fish the line through, but it does take some time. It’s also important if you do have an older booster that you actually try to get an idea if it’s working. Usually if the power light is on then it works, but if you’re in doubt, turn off the cellular data on your phone then try to make a call with the booster on. Check out how many bars you have. Then, unplug the booster and do the same thing. Same number of bars? That old booster may not be doing anything for you. Why turn off cellular data? Because that way you’ll know that the bars you’re seeing are actually from voice and not from data. Older boosters that don’t boost LTE may fool your phone into thinking it has worse reception than it does. Most of the time, if your booster’s working, there’s no need to replace it. But if you’ve had one a while, maybe a little browsing couldn’t hurt… at SolidSignal.com of course.